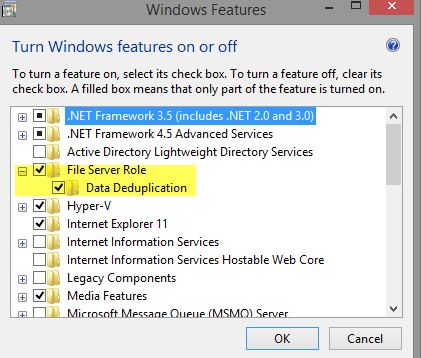 There are several posts about enabling Data Deduplication in Windows 8 out there. I recently upgraded my Windows 8 laptop to 8.1, and did of course want Deduplication enabled after the upgrade as well. Of course this is not supported in any way, but it is a very nice way to save some precious disk space on your lab machines. The process is basically the same as in Windows 8, the only difference is that you of course need to use the cab files from Windows Server 2012 R2. If everything works as intended, you should now have Deduplication enabled on your 8.1 machine. You can monitor your DedupJop with the cmdlet Get-DedupJob. 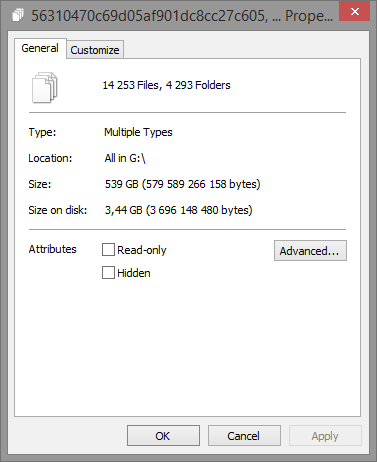 This entry was posted in Geek Stuff, Windows Client and tagged Data Deduplication, Dedup, Deduplication, Server 2012 R2, Windows Client on September 23, 2013 by Johan Dahlbom.